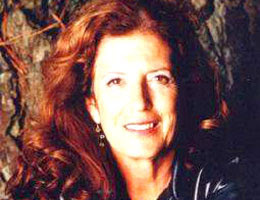 I met Anita Roddick back in the early 1990s at a conference she was speaking at. I was really struck by the passion with which she talked about her brand - the Body Shop - and her products. It wasn't just the usual marketing speak - most marketers are passionate about their brands: just as they were about those of their previous employer, and no doubt will be about those of their next employer (marketers move about a lot you'll gather). She really felt that capitalism could be a force for good - ethical as well as profitable. Her ideas in relation to fair trade and employee engagement were far ahead of her time - and much that we take for granted now would not have been possible without her energy, vision and passion. Anita truly was a marketing revolutionary - one who saw the potential of engaging consumers' beliefs and values in their purchasing decisions, not just their purses and wallets. We owe her much, we will never see the likes of her again. Requiescat in pace.